Our squad session Running Training is unique. At GPC we cater to all running levels with multiple coached track, flat, and trail running sessions per week! We have endless ways of making challenging and fun squad sessions that keep you motivated, on target, and dialled in for your specific race and personal goals. We get a lot of athletes of all abilities to most of our sessions!! We work closely with athletes and local therapists to improve running efficiency and technique. Beginner or shorter distance (up to 5km) running can be a daunting prospect if you’ve never run further than across the road. Our programs & sessions are specifically designed for you to gradually increase your running volume. We will give you the confidence, and make running easier for you regardless of your initial fitness levels. Ready to progress past the 5km fun run? GPC can help you gradually build your fitness to step up to a longer distance or trail based event. We work to improve your running efficiency in a competitive environment whether your goal is to finish or aim to finish 10km in under 40mins. We run up to 5 times per week as a squad. 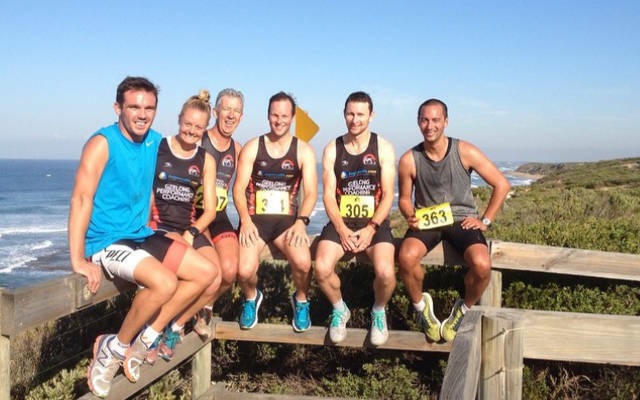 We regularly have athletes training for half marathons in Geelong, Melbourne or interstate. No matter where in the world you are, we can tailor a custom half marathon preparation package to get you to the start line in the best shape possible, while minimising your injury! For many people this is a “bucket list” event. 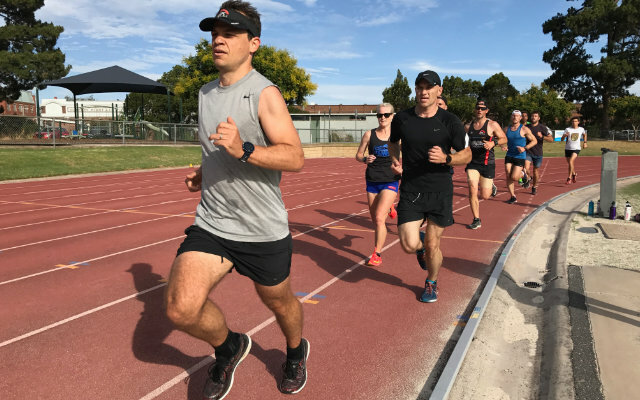 If you’re training for Melbourne, or Gold Coast or even the New York marathon, our customised training programs can help get you ready for these events. Whether you’re targeting a sub 3 hour marathon or simply trying to finish without stopping, your goal, is our goal. Find out how we can tailor you a program to fit your availability so you are ready in the most efficient manner possible. Starting at just over $4 a day, our programs offer INCREDIBLE value for people that want to get fit, and train safe. For less than half the price of just one personal trainer session, you can get unlimited access to ALL of our squad sessions. It really is a sensational deal. Make your choice. It’s free to start today! Take our program for a two week test drive. This includes all of our Geelong based squad sessions free of charge. I have been training with Stephane for a couple of years and after initially starting with triathlons, I have shifted my focus to purely running due to time pressures. After telling Steph of my goal to run a sub 3hr marathon I set my focus on trying to achieve this at Melbourne this year. Steph agreed that this was a realistic goal and promised he would do everything possible to make it a reality. 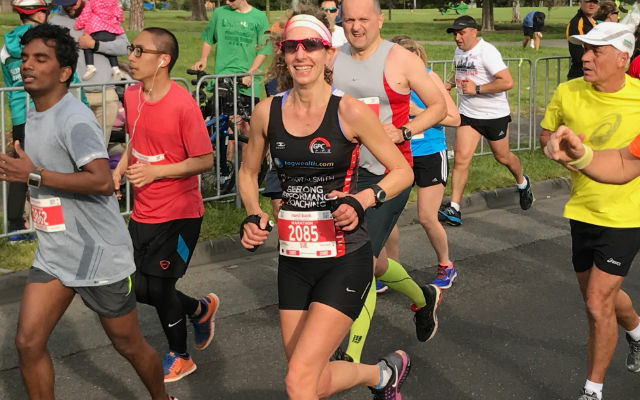 Steph has a fantastic ability as a coach and person to structure your training around existing commitments and push your limits without creating unrealistic expectations. He is unrelenting in his drive towards training standards and his motivation is amazing when there are times you are lacking. I can’t thank Steph enough for pushing me outside of my comfort levels and encouraging me all the way to ultimately achieving a huge personal goal of a sub 3hr marathon this year. Thanks Steph you are an amazing coach who gets the most out of all your athletes by setting the bar so high yourself. I cannot wait for extending my limits even further for the next race. Ivan could not run 6 months due to an injury to his ankle and now he finished Run Geelong 12kms in 52:25 on a hilly course. 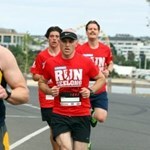 Thanks again, Kate for your great coaching for getting me up and ready for run Geelong. 2 months ago there was no chance I was even thinking about doing this run or even running that distance… Thanks for supporting me throughout the run. I really appreciate it a lot and it helped me get through the race in the end. 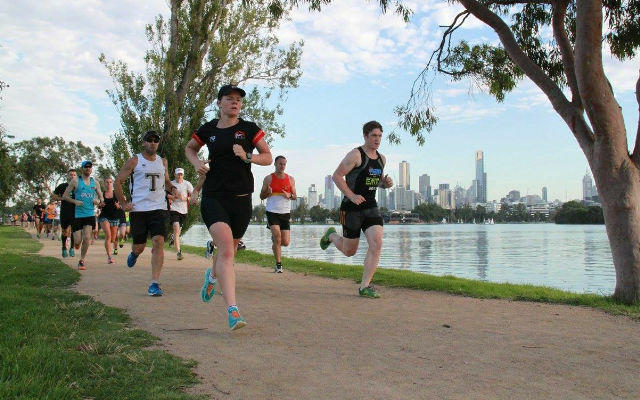 I joined GPC in 2015 to prepare for the Melbourne Marathon after a few years of following generic, web based training plans. Although the web plans were useful to begin with, my performance had flat lined. Since joining GPC, my running has started to improve again. The coaching team (Steph, Kate, and Graham) are extremely knowledgeable and passionate about helping athletes at all levels reach their goals. I can’t speak highly enough of GPC and would recommend them to anyone who wants to take their performance to the next level. 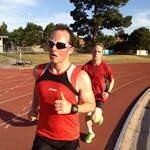 I started training with Steph after a recommendation from a friend with the goal of running a marathon. I was provided with a detailed weekly program which included cross training such as swimming, cycling and pilates as well as running sets. This helped me train efficiently and effectively. In the 2 years I trained with Steph I completed the Melbourne marathon and the New York City marathon which were both massive achievements for me. I would highly recommend Steph if you are wanting to improve on your running, he believes in his athletes 100% and is committed to helping you achieve your goals. 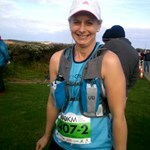 I took up running 15 months ago mainly for enjoyment and to keep fit. 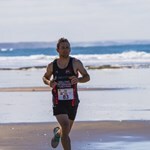 After competing in local fun runs and the Geelong Cross Country Club I found that I wanted to take my running to another level. I called on Stephane from Geelong Performance Coaching to coach me after I had heard about his service and how thorough it was. Also the fact that he is world class in his chosen sport was an enticing factor. Everything about my running has improved and gone to a higher level than I expected since employing Steph’s services. Steph has changed my running technique so it is far more efficient and I can now run faster for longer. He has taught me how to train properly and he has given me plenty of advice on nutrition and other important running factors. Steph writes my weekly running training programs with set goals in mind and can cater for a key event you are aiming to reach. The weekly programs are scheduled to work around my work and family life which is great. Steph is very clear and concise with his communication and he is always available for advice. My program is always full of variety and very enjoyable with a sense of achievement when a program is completed at the end of the week. My whole experience with Geelong Performance Coaching has been very rewarding and a great learning experience. I would highly recommend Stephane’s coaching tuition to anyone who wants to improve their running and most importantly continue to enjoy it. 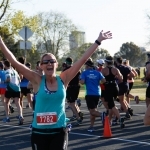 I did the Melbourne Marathon! But thanks to you I was able to achieve all of these and run a time that I am absolutely rapt with. I have never been happier to see someone as I was you at that 37km mark. Your encouragement gave me the strength to push on and cross that finish line. I have loved the training plan you gave me and as you know I followed it 100% and I’m now able to get enjoyment from all the hard work. That’s for investing your time in me. I’m so pleased I decided to get you to coach me. I have learnt so much and I look forward to achieving more goals with you. 2 hours – that was my goal for a half marathon. I was slightly overweight at 102kg and I was tired of plodding along with mediocre 5k times for 15 years. I ran for fitness several times a week and considered myself to be healthy. 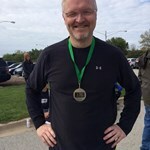 I also wanted to take on some longer distances, but just could not get up the motivation and as I got older the opportunity seemed to have passed. BUT then I decided to get professional help. I talked with Stephane and he discussed with me some things I would need to do to improve and said we could even design programs and work outs to take on longer distances. I signed up and started following weekly training programs that ran in four week cycles. The running started out easy and gradually increased in pace and distance. 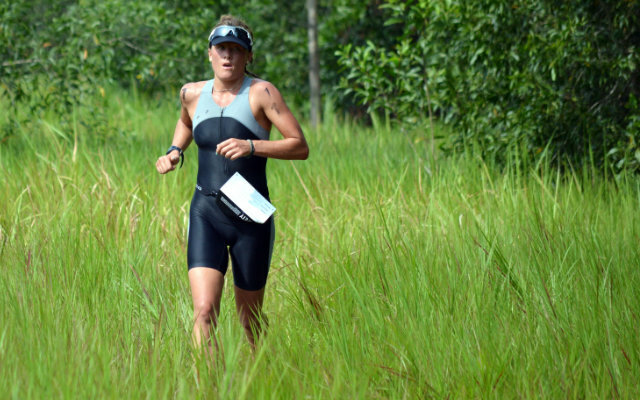 The results came rapidly – within months I was improving my 5km times and shedding kilo’s. 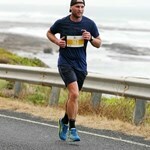 The combination of speed work, hill training and longer easy runs was paying off and allowed me to complete my first half marathon and full marathon. After completing these milestones I decided I wanted more than just to finish – I wanted better times. Stephane ramped up my training and added biking to provide opportunities to stretch out my legs. He monitored me closely and when a nagging ankle injury slowed me down he found a way to add swimming into the routine to rest the ankle but continue progress. The results speak for themselves – I now weigh 93 kilos and improved my 5 km time to below 24 minutes from 31 minutes several years earlier. And most of all I met that 2 hour goal by clocking a PB of 1:59:12 just a few weeks ago at age 47! I am running faster than I have ever run before thanks to the collaboration with a World Class coach Stephane Vander Bruggen! I thought it was only fair that I share with you my thoughts and progress on the GPC programs to date. I have been a member now for just under 12 months ago. I would have said, pffft.. You’re dreaming !!! !… GPC have set targets I personally would not have set for myself at times quite optimistic however GPC had the confidence in their programs to get me there. To that I am impressed and thankful. Training is always fun and enjoyable yet no doubt tough at the same time. Training with a group of athletes who all have optimistic goals certainly drives and motivates. The GPC crew have been inviting from day one and has a fantastic crew of coaches and athletes from all ranges. 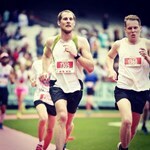 I look forward to seeing where the next 6-12 months takes my fitness and setting new goals post Melbourne Marathon. I would highly recommend the GPC club if you’re looking for training club to have fun and more importantly improve.